Snow is a novelty here in Texas. We were supposed to get a “light dusting” yesterday, and ended up waking up to much more than that. Andrew was so excited to see it — he kept watching it fall out the window. 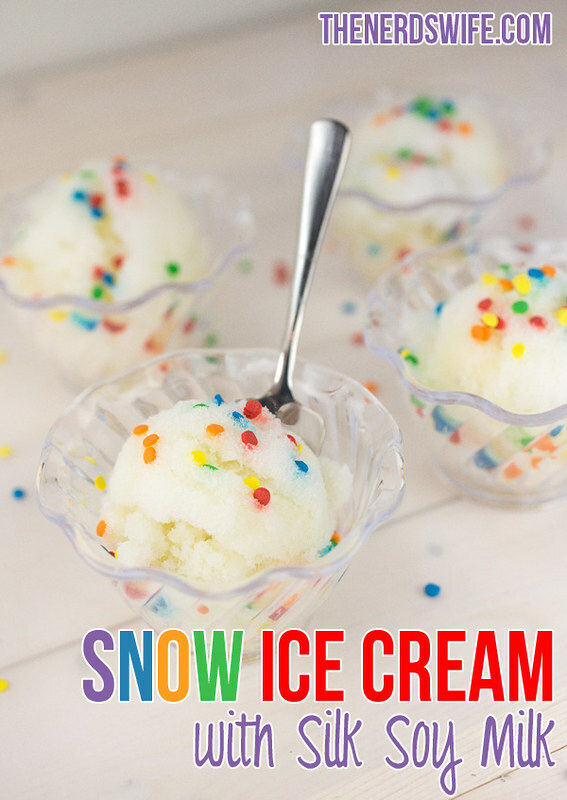 As a special treat, I wanted to introduce him to one of the best parts of a snow day — getting to make Snow Ice Cream. But when you have a lactose intolerant toddler, you’ve got to roll with the punches. 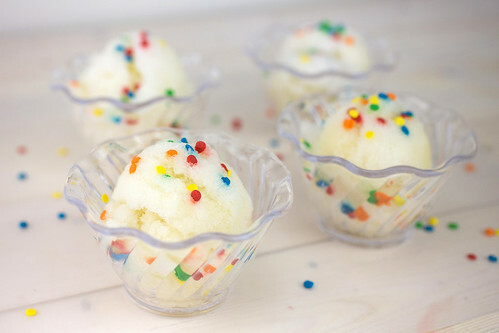 This recipe for Snow Ice Cream uses Silk Soy Milk to flavor the snow, which makes it perfect for the lactose intolerant. 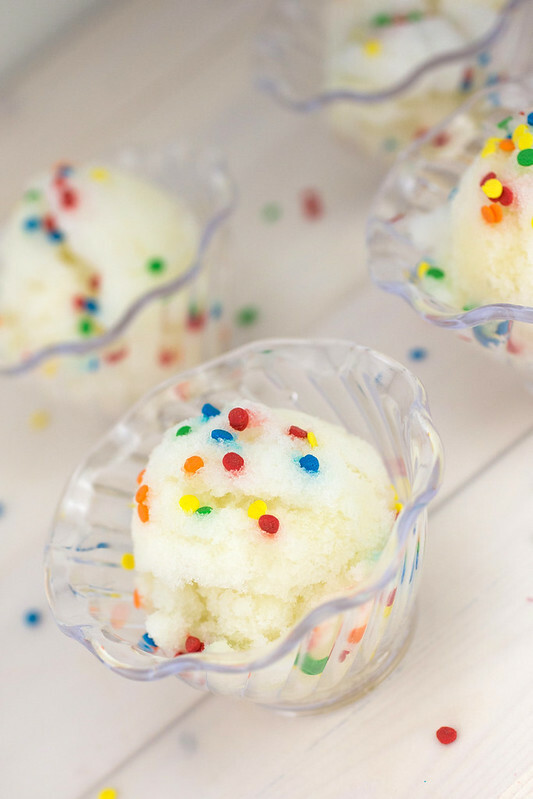 So the next time you have a snow day, go grab some handfuls and make a yummy treat! 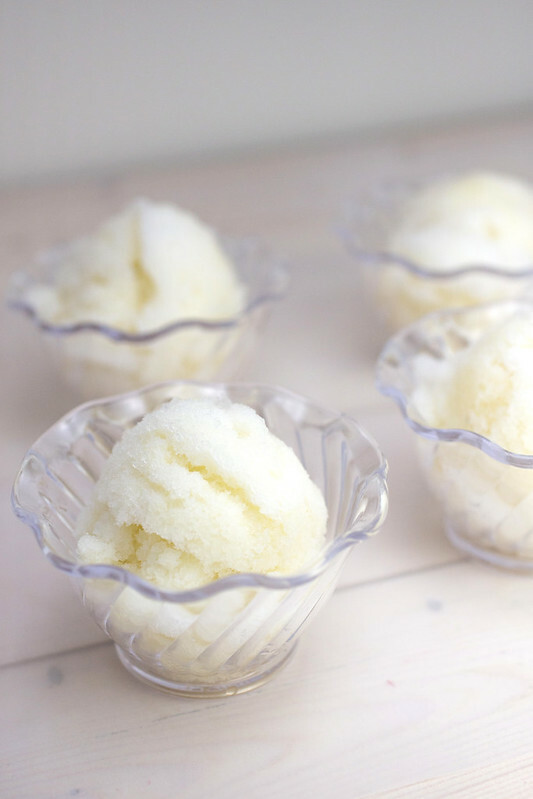 *You can substitute whole milk for the soy milk and add 1 tsp vanilla extract for flavoring. 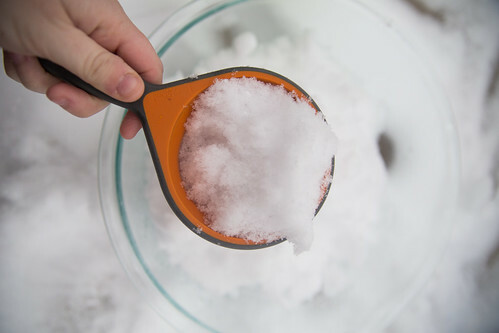 Scoop out the snow into a large bowl. 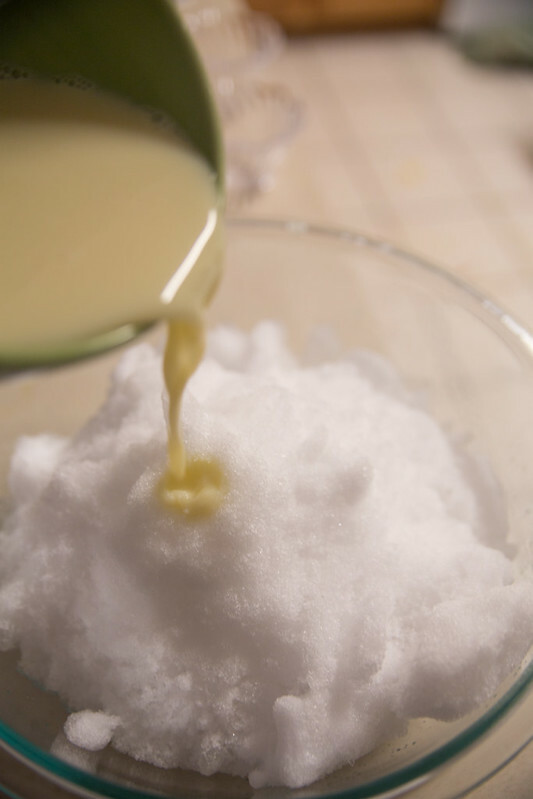 In a smaller bowl, mix together the milk, sugar and salt, and pour the mixture over the snow. Stir together. The mixture should be light and fluffy — not runny or dense. Scoop it into bowls and serve immediately. 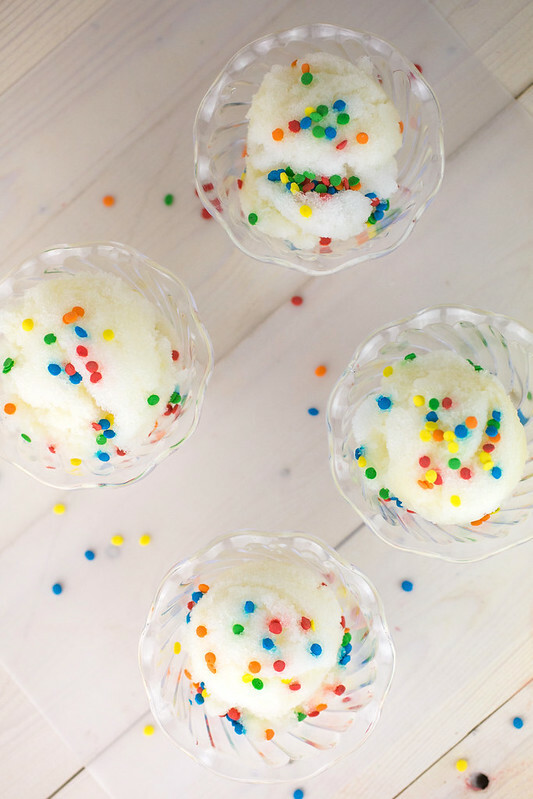 Add some sprinkles on top for a festive, fun look. What’s your favorite thing about a Snow Day?